Christopher Gibb discovered he loved the landscaping business when he took a job with a landscaping company. During this period he worked on every type of job learning the ropes. 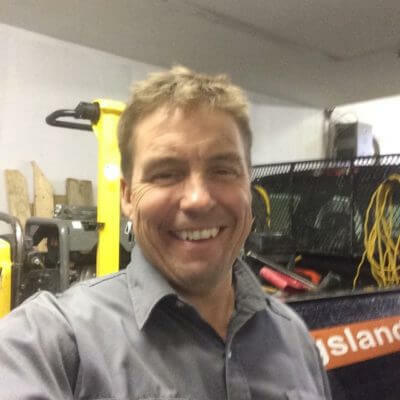 In 2003, after six years of working for other companies, Gibb started his own West Island business: G&S Landscape Construction. Having his own company allowed him to have complete control of the quality of the work being done. As a perfectionist by nature this was important to him. As his business developed, Gibb expanded his knowledge by taking courses in landscaping which gave official certification in the trade. Gibb client-centered approach to his profession is not unnoticed by his customers and has produced a continuing stream of referred jobs. Client Andrew Saaba of the NDG borough is typical. Keith Myles, also of NDG, had a complete landscaping job done, plus he had Gibb come back to install a fence the year after. Gibb explained his customers’ exceptional satisfaction with his work. Chris Gibb is personally involved in every job, overseeing his carefully selected crew and actually participating in the physical work himself.